The Luke Combs biography is an accurate reflection of a great country songwriter. Being a music phenomenon and a defining character in country music evolution he ranks among the best country singers and songwriters. However, are you well acquainted with the artist? Here you will find Luke Combs facts and the most significant achievements in his career. 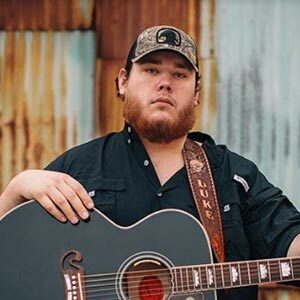 Luke Albert Combs is a hit music singer and songwriter whose country music masterpieces have graced the billboard top 100 countless number of times. He was born in Ashville North Carolina on March 2, 1990. Currently, Luke Combs is 29 years old. Before his success in music, Luke attended A.C. Reynolds High School and later moved to an Appalachian State University, where he engaged in football and vocal groups. While studying in A.C. Reynolds High School, Luke Combs had his first performance in the Carnegie Hall. There he made a great impression and thus got great inception to the country music arena. In 2014, Luke masterminded two extended plays, "The Way She Rides" and "Can I Get An Outlaw” which would later rank among the Billboard Top 100. In 2015, Luke released his first hit song "Hurricane" which, however, did not hit the top of Billboard country airplay until 2017. Regardless, this still ranked among Luke Combs hit songs and made sales exceeding 14000 copies within the first week of releasing hence ranking top in his achievements. Among the most revered work of the musician include his album, "This One Is For You" which he released in 2017. The record was the first from the artist after joining Columbia Records in Nashville where he worked with BMI co-writers. Being his first major debut album, it attracted a lot of fans to Luke Combs music and earned his spurs as a country music phenomenon. This album contained marvels of country music that found their way to the top of the Billboard. Among these songs included, "When It Rains It Pours", "Beautiful Crazy", "One Number Away" and "Beer Can". After its release, the album found its way up to the fifth best record on the Billboard top 200 albums and the songs hitting up to number one. Owing to his success, the singer/songwriter earned a spot as one of the Sounds Like Nashville’s "Artist to watch". In the peak of his career, Luke Combs works had hit an all-time high, therefore, making him recognized among the best country music artists. Among the accolades, he earned during his career included, the country music associations award as a new artist of the year and the iHeartRadio Music Awards as a new country artist of the year in 2017 and 2018 respectively. Additionally, the artist and his music were nominated severally in numerous awards inclusive of the Grammy awards. To date, Luke Combs still ranks as a great country song artist with his works ranking among the top on music charts. Although little is known of Luke Combs family, the singer credits his success on the family support. Testimony to the support his family has shown, is his wife to be, Nicole Hocking. However, one can only ask themselves a single question. How did Luke Combs meet Nicole Hocking? In 2013, when the songwriter/ singer was working with the BMI cowriters, he met with Nicole Hocking who would later become his fiancée. Nicole Hocking, a 27-year-old alumnus of Florida Gulf Coast University, was by then working at Broadcast music in Nashville. With Luke Combs in a relationship, he not only evolved as a country music star but also quit dipping. The duo is not only envied by fans but also proves a supportive one through every moment of life.